Below are just some of the animals and their stories about how they came to make WLC their permanent home. To the surprise of an animal shelter’s staff, a man walked in with welders gloves holding an unusual animal he claimed to have found in a water tower. 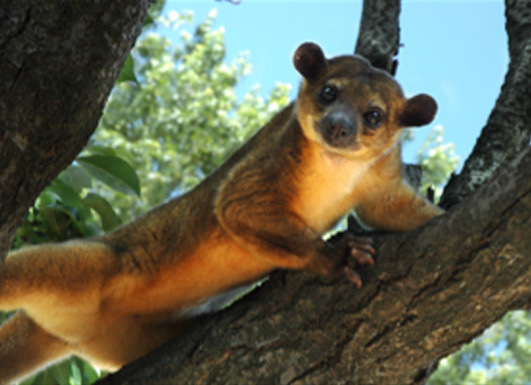 It turned out to be a kinkajou – a tree-dwelling relative of the raccoon from Latin America. Ordinarily, animal shelter staff are not trained to care for exotic animals and therefore a facility was needed that could provide her with the proper care. The Wildlife Learning Center has given her a home for life where she cohabitates with her fellow rainforest friend, Lola, the two-toed sloth. 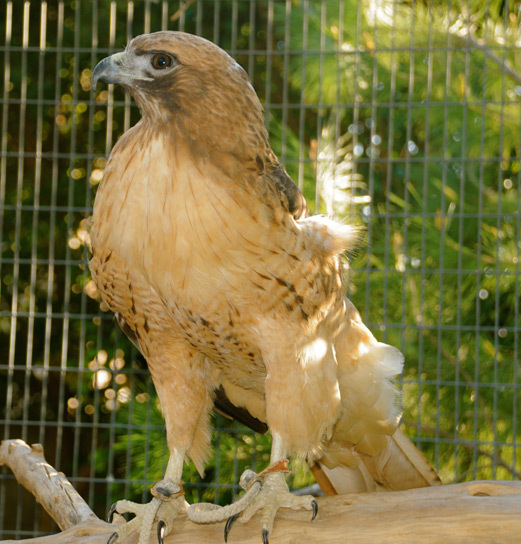 Denali was found in North Carolina with an injured wing. She was taken to a rehabilitation center and was deemed non-released because of an arthritic wing. 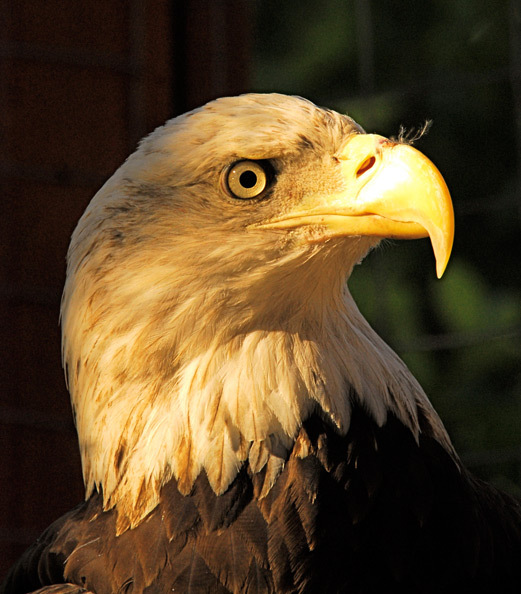 She spent over a year in a rehabilitation center, and now has a life-long home at the Wildlife Learning Center. Dr. Peepers was born at a Florida Zoo but was abandoned by his mother during hurricane Katrina. Because the zoo staff was overwhelmed with facility repairs and animal care, they did not feel they had the time to give the necessary around the clock care to the tiny, orphaned squirrel monkey. WLC’s staff of caring biologists were more than willing to give him the constant care he required. Baby squirrel monkeys stay on their mother’s back, and Dr Peepers needed that same attention from his new human parents. To help him feel secure, Dr. Peeper stayed on a stuffed bear and fed from a bottle throughout the day. Far too often people make the mistake of thinking a monkey can make a good pet. This was the case with Bela. A man kept Bela as a pet, confined to a small birdcage. 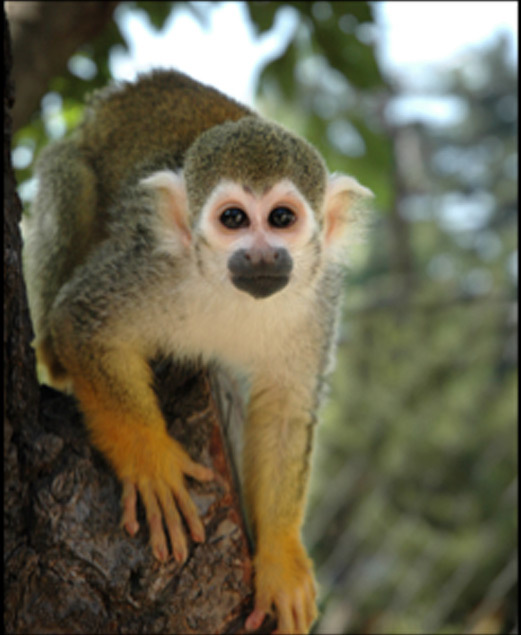 Squirrel monkeys are highly intelligent and social animals that require the company of other monkeys and a stimulating environment. When this man was diagnosed with terminal cancer, he needed to find another home for his pet. Bela was moved to the Wildlife Learning Center, where she enjoys the companionship of Dr. Peepers and Eddie in a large, enriching enclosure with trees and other climbing structures to play on. Eddie was born in an ophthalmology laboratory where he was destined to be a research specimen. Eddie’s mother abandoned him and lab personnel were not interested in the work required to raise a baby monkey. Because he was so young, he was not useful for research and the lab looked to place the baby monkey in another facility. 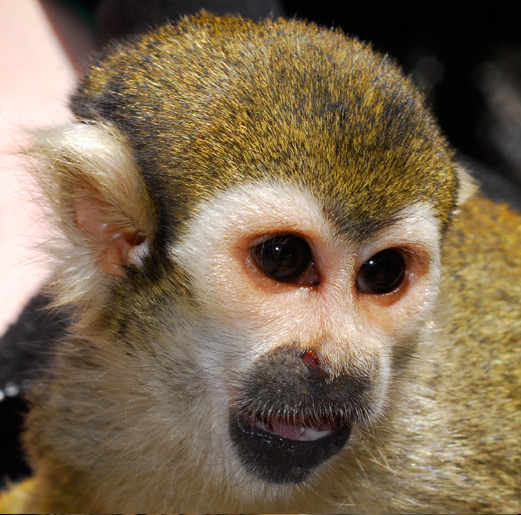 The decision was made to send him to WLC, where he now enjoys an outdoor enclosure and the companionship of Dr. Peepers and Bela in a large environment with trees and other climbing structures to play on. Catcher came to WLC when his owners moved to Colorado. 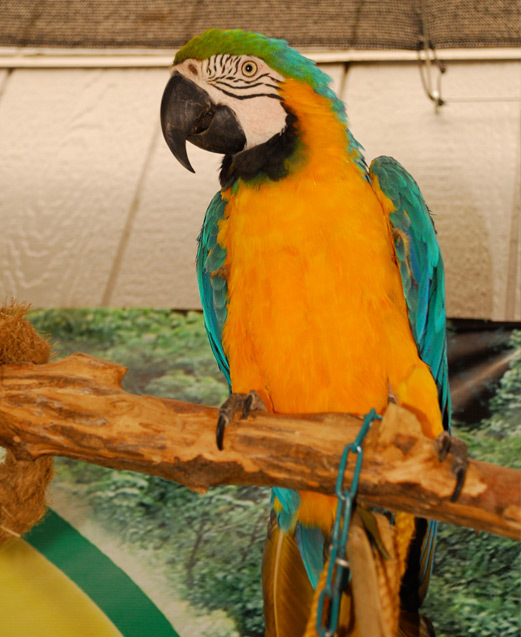 Because macaws originate from the warm rainforests of Latin America, they were concerned about Catcher’s well being during the cold Colorado winters. Catcher immediately bonded with Jake and the two have been inseparable since they first met. 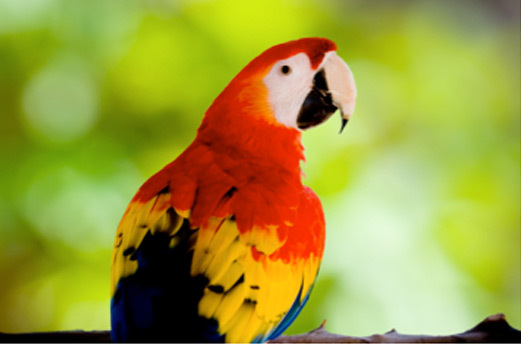 It’s terribly unfortunate that some people make the mistake of illegally acquiring a dangerous exotic animal. 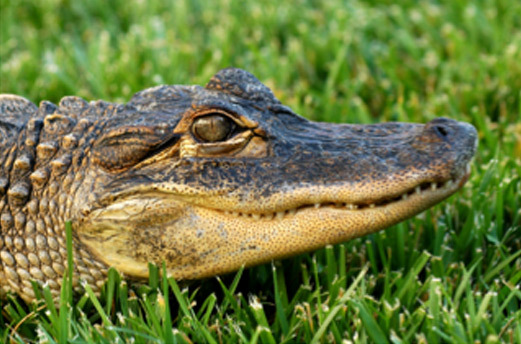 The Wildlife Learning Center is home to 7 American alligators–all of which were kept asi llegal pets. WLC provides these animals with the best care possible, but we will continue to search for a permanent home in Florida that can accommodate their eventual size. Jake had a loving home for 19 years until his human parents had a baby. Fearing Jake’s potential to deliver a serious bite, they made the decision to find another home for their beloved bird. Jake moved to the Wildlife Learning Center and quickly bonded to staff members. 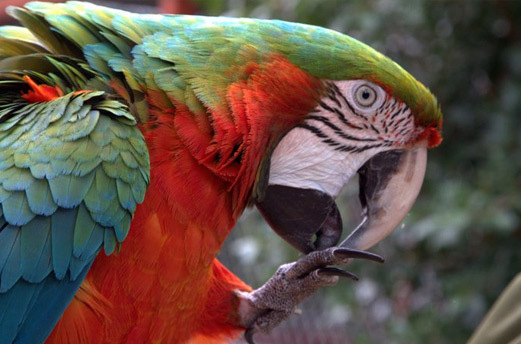 Soon after Jake’s arrival, Catcher, a scarlet macaw, came to WLC where she bonded almost immediately to Jake. They have been an inseparable couple ever since and provide each other with constant companionship and enrichment. DaisyMae was kept as a pet, roaming freely in a young man’s apartment. Reticulated pythons are considered the longest species of snake in the world, easily reaching length over 20 feet. 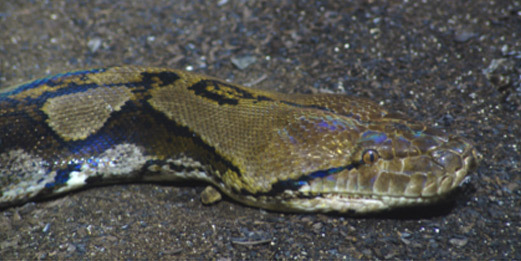 These pythons have a reputation for being aggressive and because of their large size, are extremely dangerous. When DaisyMae first arrived at WLC, she was severely underfed. Once she received an appropriate diet, she started growing at a rapid rate. DaisyMae is now 15.6 feet long and still growing! 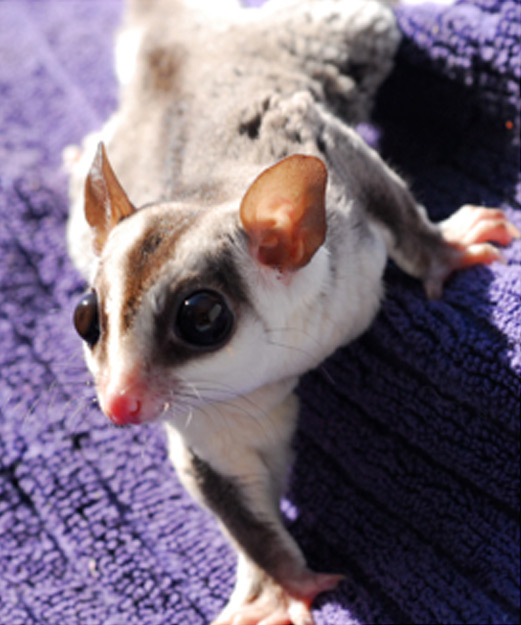 Sugar gliders are illegal to own as pets in California. Unfortunately, people are enamored with these “pocket pets” and illegally acquire them. Regardless of their small size and cute appearance, sugar gliders do not make good pets. These small marsupials have a pungent odor, and it is guaranteed that they will urinate and defecate when they are held. Furthermore, if sugar gliders were to escape into the wild, these Australian natives could disrupt California wildlife. California Department of Fish and Game confiscated five sugar gliders from a woman who kept them in a small cage and bred them for pets. All five were transferred to the Wildlife Learning Center where they now receive the proper care they deserve. Cleo was kept as an illegal pet by an animal lover who had good intentions but who quickly learned that wild animals, even small ones, never make a good pets. Cleo received improper veterinary care and became extremely ill with vaccine induced distemper, which caused permanent neurological damage. Realizing she made a mistake, she moved Cleo to WLC where his health was monitored until he recovered. She made the decision that Cleo would be happier at WLC and has been under our care ever since. 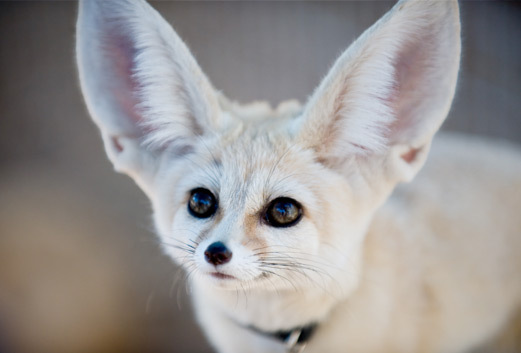 Cleo still suffers from seizures occasionally, but his life is much enriched now that he lives with the other fennec foxes at WLC. Willow was hit by a car and sustained a severely broken wing that was beyond repair. Amputation her veterinarian’s only option. Because Willow is unable to fly and hunt, she cannot survive in the wild. 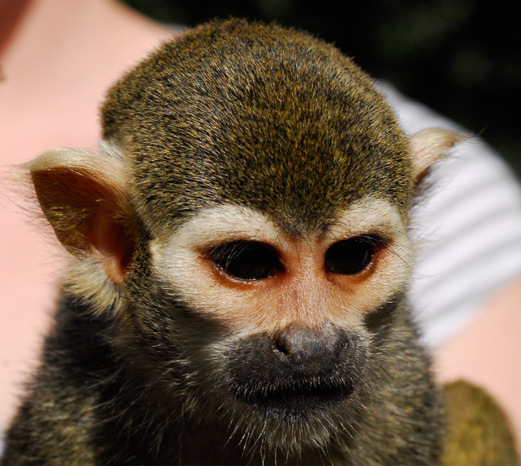 Willow was transferred to the Wildlife Learning Center, where she will have a home for life. Willow is doing remarkably well despite her injury. She can easily hop from the ground to any one of her favorite perches. Kina was found orphaned in the Santa Monica Mountains and sent to a wildlife rehabilitator to be raised with the goal of releasing her back into the wild. When Kina was found she was still too young to eat on her own and should have been nursing from her mother. She was then fed from a bottle, and even though it was unintended, Kina imprinted on humans and lacked the skills to survive in the wild. 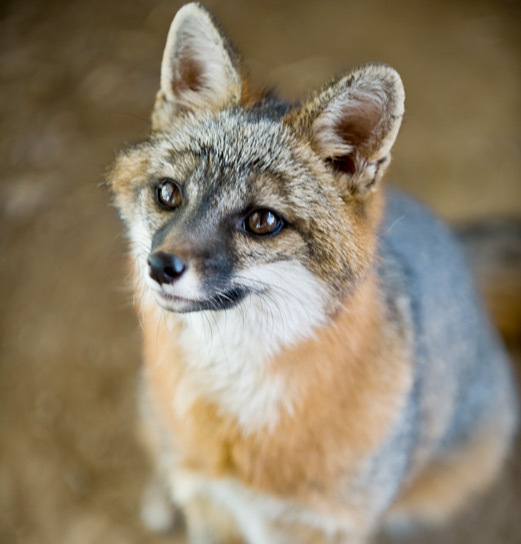 Even though Kina does not live in the wild, her trust of humans has allowed her to be an excellent education animal who loves being around people and going to schools to teach children about California native wildlife. 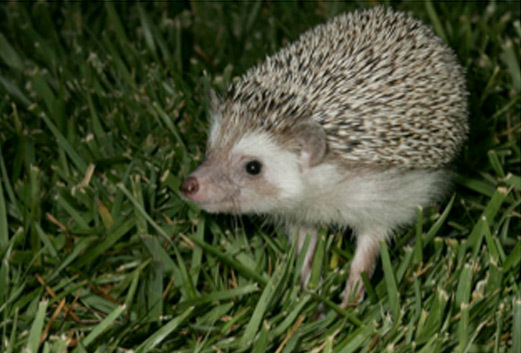 Hedgehogs are illegal to keep as pets in California. Unfortunately, people still acquire hedgehogs for pets. The Wildlife Learning Center has taken in a number of hedgehogs over the years. Sometimes they are confiscated by California Department of Fish and Game and placed at the Wildlife Learning Center. Other times, owners will come to the Wildlife Learning Center and relinquish their pet hedgehog after the novelty of owning an unusual pet wears off. 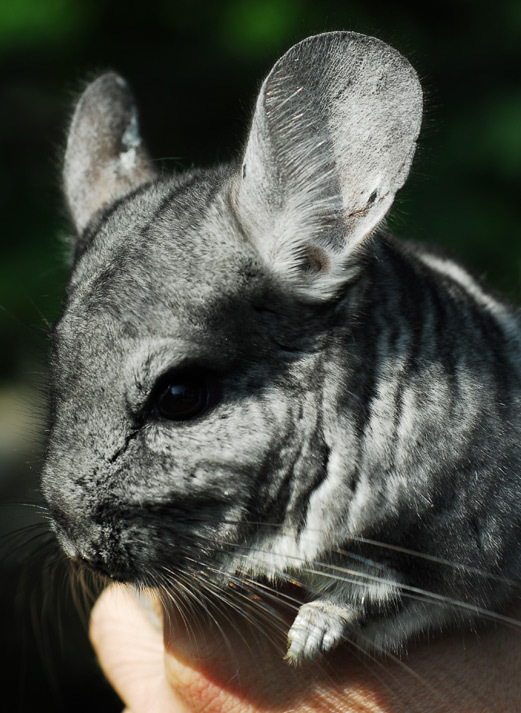 Chinchillas are sometimes successfully kept as pets, but unfortunately, they are often bought by impulsive owners who do not research the care they need. Chinchillas are extremely messy and produce a lot of waste, including spraying their urine to mark their territory. They are also quite delicate and easily parish if their ambient temperature gets over 83 degrees Fahrenheit. Both of the chinchillas at the Wildlife Learning Center to came to us from owners who no longer wanted them.